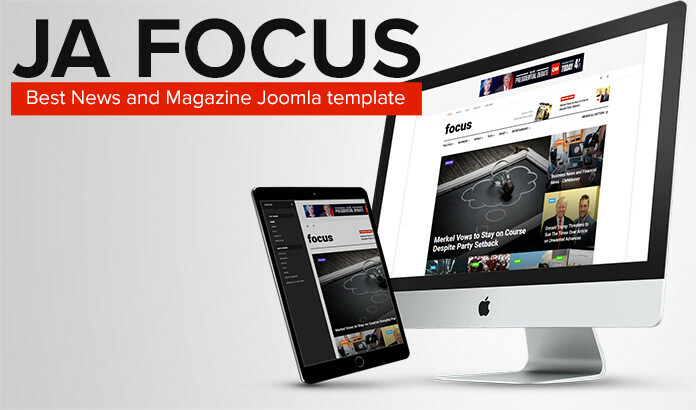 JA Focus is premium news Joomla template designed for bloggers, journalist, editors who want to create organized online news and magazines website. 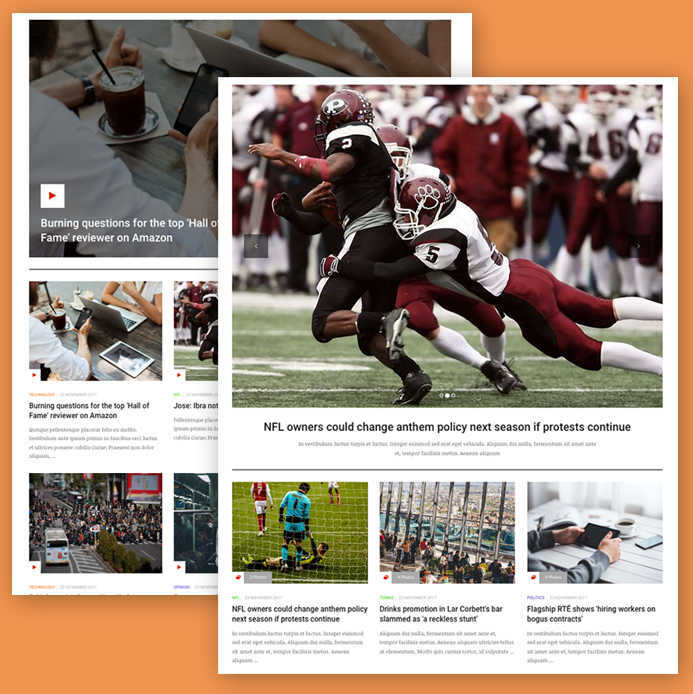 This news template is fully responsive, supports multiple layouts of content categories: Featured, Category, Video, Image Gallery. 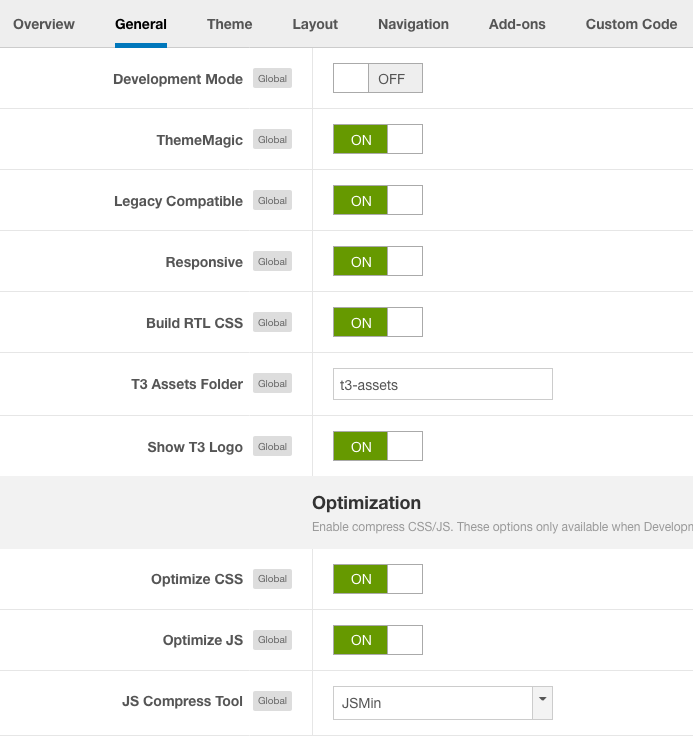 In this blog post, we will review the template core features with screenshots. Intuitive admin panel: visual layout configuration, megamenu builder, theme config, etc. 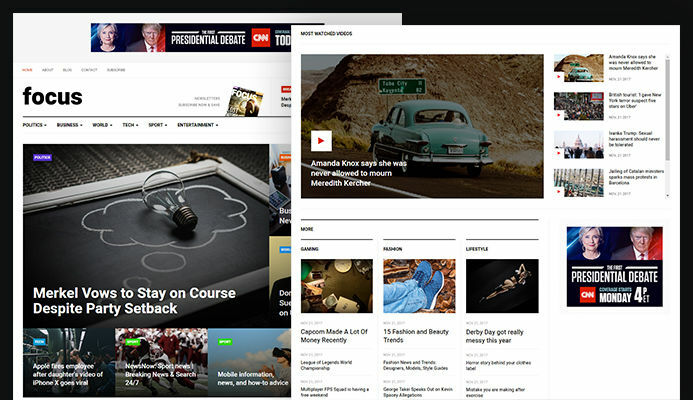 The News and Magazine Joomla template is responsive and works well with all devices based on powerful bootstrap 3 responsive grid system. 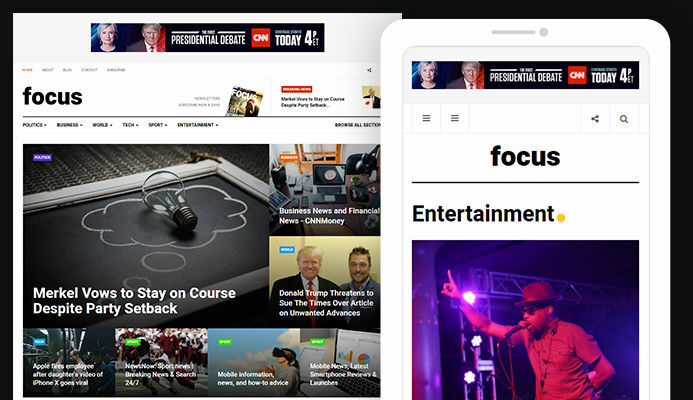 The News and Magazine Joomla template comes with multiple content categories: Featured, Category, Video to display content in well structure and gives the site a stunning look. Video article and Image gallery article are extended content type with additional fields to add videos and images gallery to articles, the video and image gallery will be displayed nicely in front-end. Articles category module is flexible Joomla module to display content in your own way. 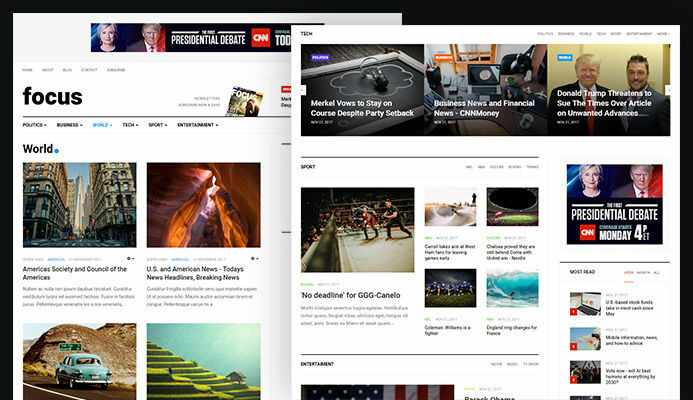 JA Focus template adds more views for the module to give you more options to display articles. 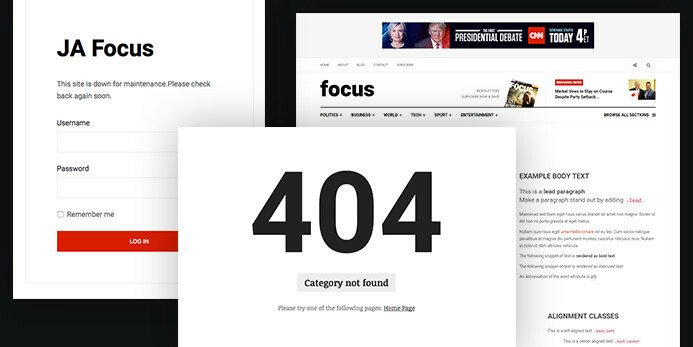 JA Focus template supports multiple menu system: Megamenu, dropdown menu and off-canvas menu. The Megamenu helps you to organize the menu system in a more attractive layout. 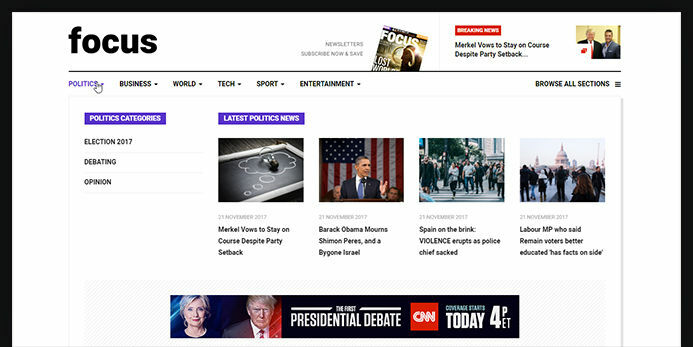 The News and Magazine Joomla template comes with special customized styles for all Joomla default pages. It is built with the best responsive Joomla framework - T3 Framework with powerful features and ease of customization. 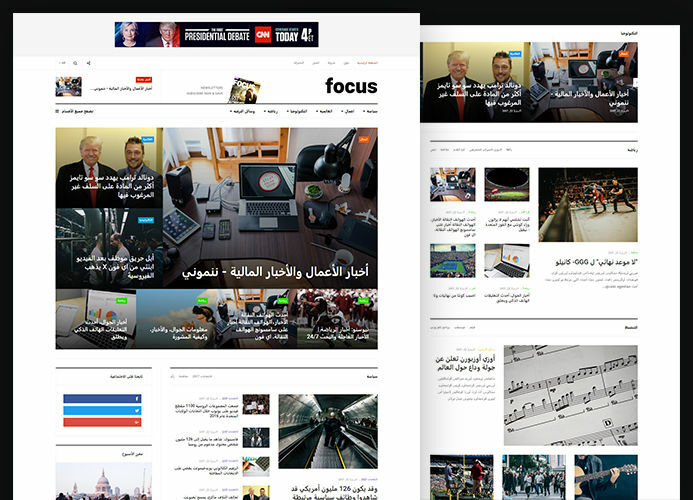 JA Focus supports right to left languages that allows you build website in special languages: Arab, Persian, etc.